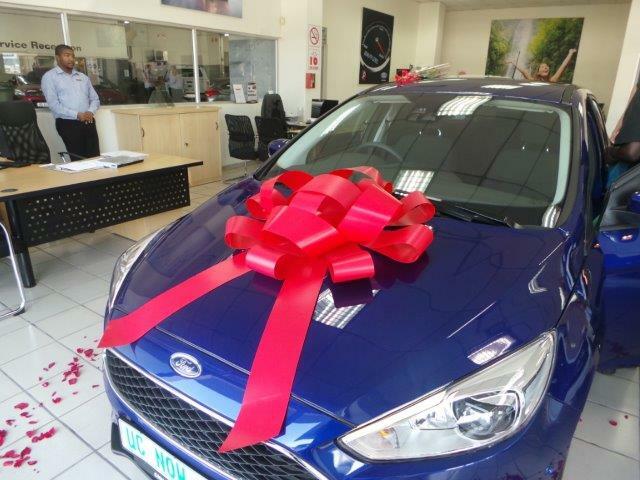 A great Christmas surprise Christmas has come early for a customer Mariana Dereksen from her husband Lee Dereksen. The planning took place two months prior to Christmas. 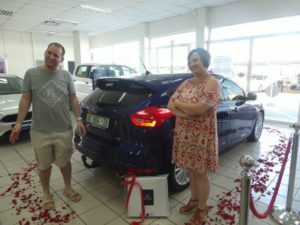 We all had to keep the great secret, Mr Lee Dereksen told us his wife works very hard and is under a lot of pressure at work, and deserves to be spoilt with a new car. 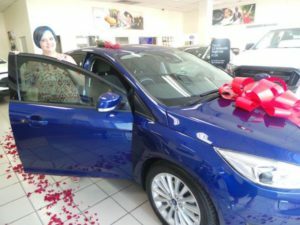 Lee bought her the top of the range of the Focus. Lee had a personalised plate made, U C NOW KZN because that is a saying that she always says. 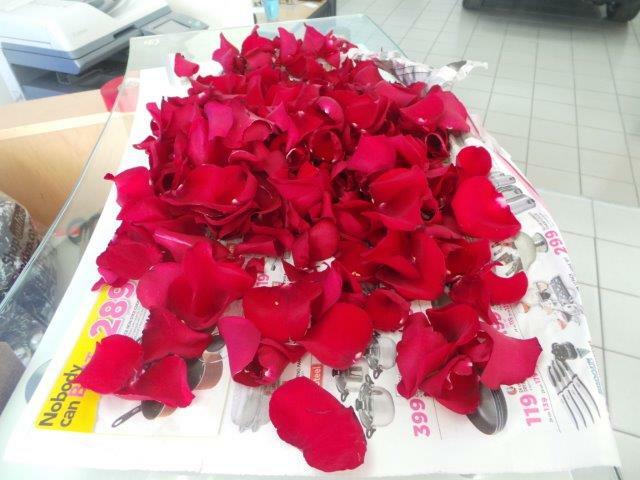 We had to get flowers, chocolates, and rose petals to put around the vehicle in a heart shape. When the day arrived for her to fetch the vehicle, he had to tell her that he is going to fit a tow bar on her vehicle for them to go to Johannesburg. 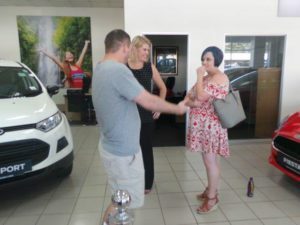 This was so cute when they had to pick up the new vehicle, told her to change her clothes, she asked why? Lee said he had to think quickly then said it is so hot outside, put something cooler on. 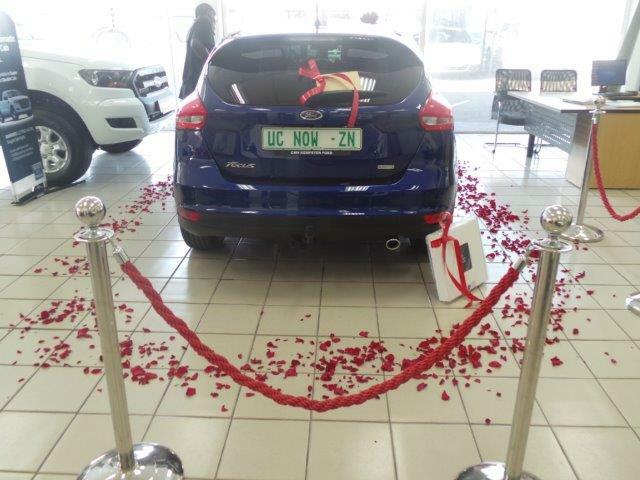 He wants her to come with and see if she likes the tow bar. 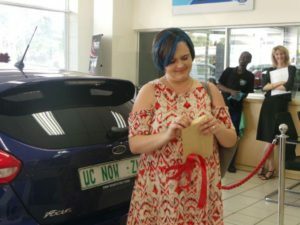 When they drove in her vehicle was in the front of the workshop, her first words were they didn’t even wash my vehicle, Lee then said to Mariana let us go in and ask why. 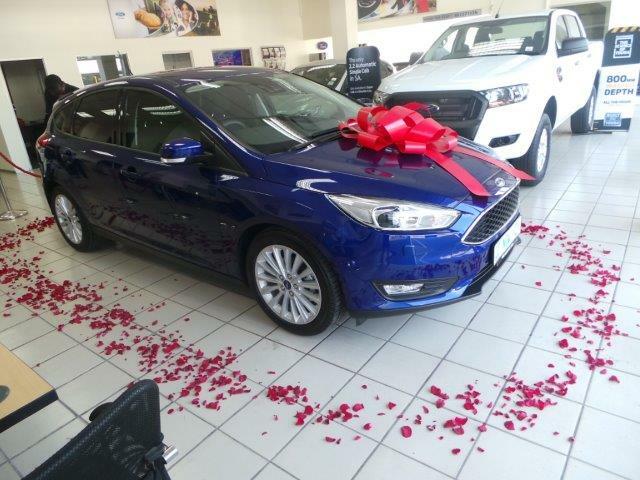 As Mariana walked in the door she spotted the number plate and burst into tears, she couldn’t stop thanking Lee and the staff involved for such a lovely surprise. Her astonishment made the staff cry. Hugs were flying because they have become such good friends at our dealership. We have all gone through both her pregnancies and see how the boys are growing up so fast. 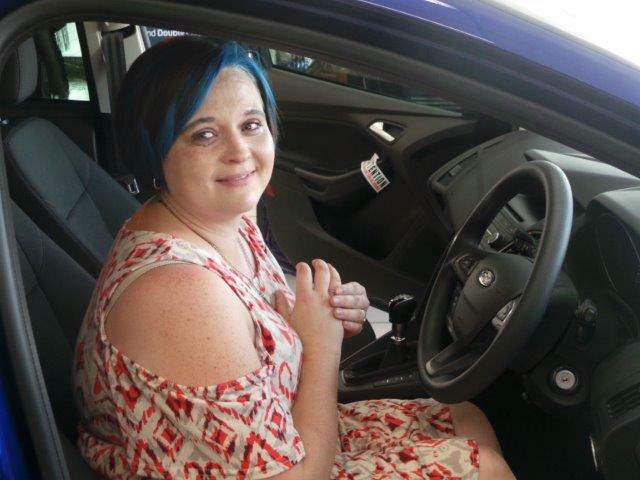 Stacey sat in the vehicle with Mariana to show all the features and how the self-parking works. Such an awesome ending.